Firefighters daily face unforeseen danger and tirelessly protect our lives and property that we might rest in safety from the peril of fire and medical emergency. We respect their dedication, commitment, talents and quick response. Say congratulations to a special friend or provide recognition to a heroic volunteer or city fire department member in your family by giving the gift of this specially engraved Daisy Red Ryder BB Gun. 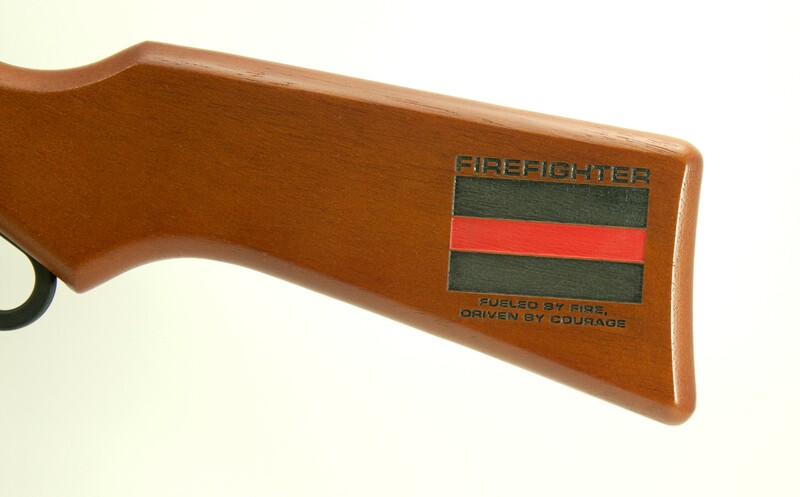 The stock is engraved with a classic red line graphic above the slogan, "Fueled by Fire. Driven by Courage." Price includes engraving a name, rank or position and name of department on the forearm.